1. 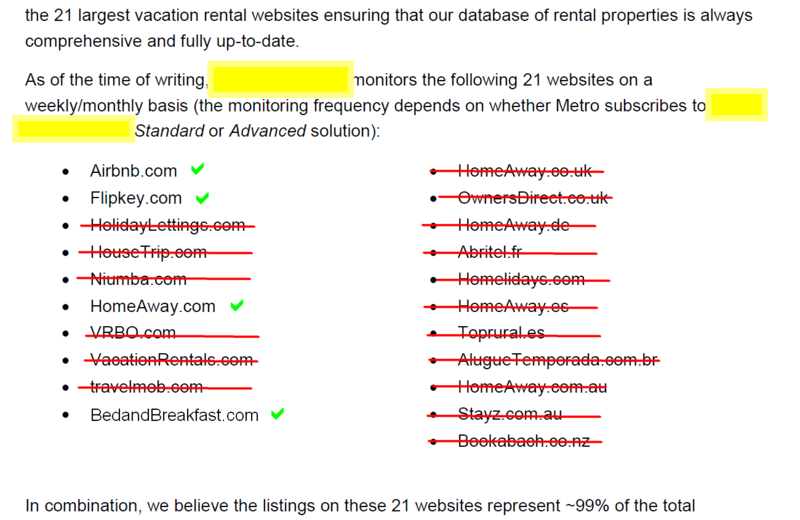 Beware of misleading website coverage claims: Below is a copy of a recent RFP submitted by a vendor which claims that they cover 21 websites cover 99% of the inventory in the jurisdiction. The reality is that only 4 of those websites have a unique, organic inventory and the remaining 17 websites are all affiliates and aggregators of the exact same inventory. In fact 2 of those websites from the foreign countries don’t even have inventory in the United States (Stayz.com.au and Bookabach.co.nz)! The facts are that Harmari covers all the same websites our competitor covers, and more it does not cover. 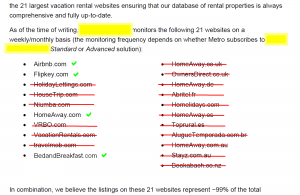 In fact, the same jurisdiction where our competitor claimed 99% coverage on 21 websites, we found 9% additional inventory on Craigslist, Rentalo, RentalSpot and others they didn’t find. Harmari has an archive of Craigslist ads back to December 2013. Furthermore, Harmari will deep dive and investigate all localized websites with inventory specific to the area. We are committed to getting you the true 99% of the inventory on the true “Top 10” website inventories in your neighborhood! 2. Beware of other vested interests: One of our competitors has a Board member who works at a consulting company that serves these companies. Does the municipality believe that such a Board has a fair and impartial perspective on regulating short term rentals in the industry? 3. 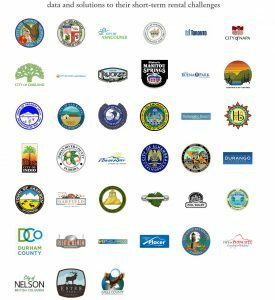 Beware of a grossly embellished customer list: To the best of our knowledge, our competitors claim they work with 39 municipal customers. 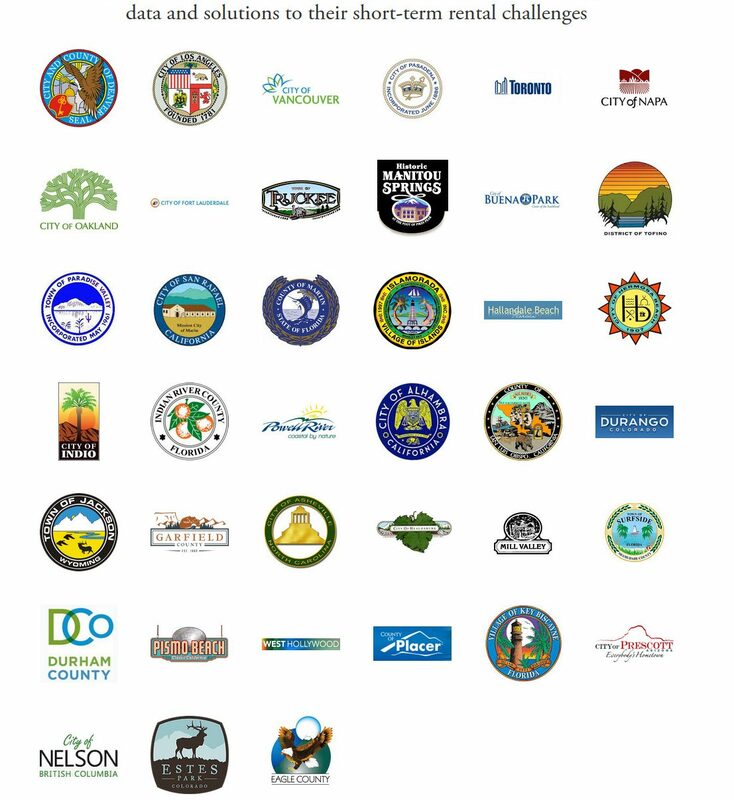 The reality is if you do your own due diligence via FOIA request, Contract award searches and general Google searches, you will not find any record of contract with Los Angeles, Vancouver, Toronto, Pasadena or any of the big cities listed. 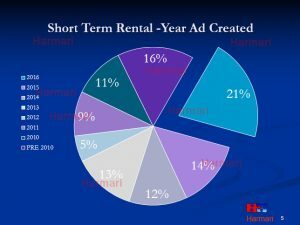 Some of those cities don’t even have ordinances in place yet for short-term-rentals. A minority of those municipalities have an identification and compliance agreement, whereas those other cities may have asked for a sample report, trend monitoring, or other one-time consulting arrangement. Only 20 of the 39 alleged customers were confirmed to have active contracts involving actual identification work. 4. They charge a monitoring fee each year for identification work that’s already done: In a multi-year contract, our competitor will typically charge the same price per listing each year for both monitoring and identification. The actual percentage of new properties that appear each year dwarfs the total inventory. Take this distribution below for a mid-sized touristic city in the US: notice that only 21% of the properties appeared in the past year versus the other properties that have a long-established STR activity for many years, even pre-2010 before the AirBnB craze hit the world! So if you are to engage a vendor for both identification and monitoring, beware that the cost of identification goes down significantly after Year 1, and your resulting costs should also be going down directly proportional to the inventory turnover each year in your jurisdiction. As a customer you have choices in this marketplace, and it’s up to you to familiarize with the benefits and drawbacks of each vendor you approach. If you wish to notify us of a current or pending bid for Short Term Rental Compliance and Monitoring, Data Analysis or Identification services, please fill out this form below and we will respond.